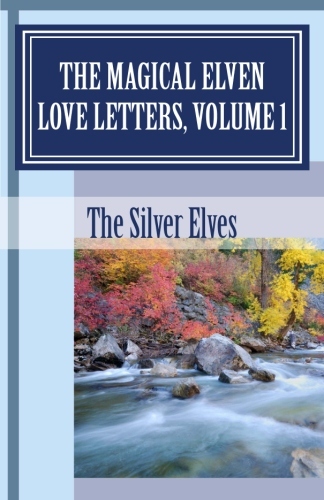 The Magical Elven Love Letters, Volume 1, is composed of the letters that were written by the Silver Elves and sent out via snail mail beginning in 1979 and until the mid nineties before the awakening of the internet. They were written to encourage elves to awaken to their Elfin nature, to be true to their individual destiny, and to embrace their starry heritage. They are filled with Elven Philosophy and observe the world from the point of view of the Elves, which is often quite unique from how most people view and experience the world; and their unique Elven Philosophy of Magic that is often similar and yet distinct from traditional theories and methods of magic. This is the second printing of these letters and they have been slightly modified to increase clarity. They are also interspaced with Elven quotes, axioms, koans and other ancient Elven sayings. I was barely able to put the book down, and read it to the end in a very short period of time.... And I say we are blessed to have The Silver Elves among us, to inspire, encourage and give love, as many of us probably need (I know I do). Also, They give the courage to act with kindness and to believe in the own s'elf.. Now, that is very important. "The Magical Elven Love Letters, Volume 1 is one of the most magical, amazing, profound books in which it is closely intertwined mystical elven philosophy, elven wisdom of antiquity and in our days and wise instructions and appeals from the authors to readers. It inspires, it makes you fly and feel that you are not alone in this world that there are those like you and soon in this world will come the winds of change. This book is a huge contribution, it's a gift, a treasure for all the elven people! From the first pages this book will win you over with its uniqueness of presentation and the author's unique style. It will take your mind somewhere far away, this will save you from loneliness. When I read this book, it seemed to me that I communicate with my very close friend who knows everything about me, who understands me and say you are not alone in this world. I had such a feeling like touching the Truth, which has long been hidden and seemed distant and now approached...."
We are happy to finally say that we have reprinted and you may now purchase our Magical Elven Love Letters, Volume 1 on Amazon.com. The book is priced at $16 and its purchase is eligible for Amazon's free Super Saver Shipping (Amazon's deal to ship you free if you purchase a total over $25 in a single or combined book order). Please click the Amazon link below and go to Amazon's Silver Elves page to make your purchase. For a preview of the book, you may wish to check out Amazon's Look Insde This Book feature that is offered. Remember that you will be going out of the Silver Elves website, so please bookmark us before you go and return often. We invite our international brothers and sisters to go to CheapRiver.com and type the name of one of our books into the search, select your country, and find a comparison of prices selling our books on all the Amazon sites, including shipping, to your doorstep. The onslaught of Spring has brought dramatic changes to us, kindred, and it is evident that the sundering and the choice so often spoken of by the Sages is now in progress. Many would think that this is brought about by the retreat of the Fair Folke from the world of Manunkind but in truth the reason is quite the opposite. The Fair Folke retreat no longer. It is clear to us that Now, for the first time in ages, we are on the advance. 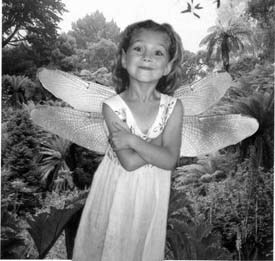 With the establishment of Pan and the Rainbow Dragon and their Eldritch Realm upon the westernmost edge of human evolution, the Power of Faerie grows daily. And for the first time in Aeons a passageway has been established Between the Worlds. With the movement of each second the distance between Faerie Spirit and Faerie Manifest grows smaller and more intimate. our Mother. Surely, the majority of folk have proven not only that they do not love the Earth but that they are incompetent stewards as well. Truly they wish only to use and abuse her for their own gain and profit and are so malicious that they would rather destroy Her utterly than to yield an inch of their possession. We are equally determined to prevent this. But meanwhile they continue to enforce their will through conflict and contention, the very aspects that spell their Doom and delineate the degenerative aspects of their nature. We confront them to their face as well as secretly, with Love, Caring and Intelligence. We seek not their Destruction but their Transformation. We can not help but love them, mad though they are, for we are their children, their future and their Secret Dream of Paradise even though they use their outmoded concepts of Reality to stand between us. While many of our half kin may surely be seduced or intimidated into choosing Man-unkinds proffered security (slavery to role identification) over selfhood (independence and freedom) Time is on our side and we will be creating our Elfin Paradise Forever so it will Last for Eternity. "Calm and patience achieve what haste and hurry delay." El�n is for us not so much a place we can go, as a place we can be. It is the energy we expend toward becoming more gentle and more loving... the effort to evolve and develop our inner natures, our modesty and adaptability and our unending purpose to respect and be fair to all creatures whatsoever... these are the real steps to Elfin and it is our wish that all the Elves might transform those steps into a dance of love that will be to the children a bright and radiant mandala whose center is the dawning of a gentle race. yet for those who are open, whose inner heart remembers a tune half forgotten from long, long ago and far, far away, we move ever deeper into the Faerielands. Come along, elves. It is a long journey ahead but together it can be a great adventure. A new land, a new life, a new people and a brighter day. was it only yesterday or soon to be tomorrow. We are going and trust that our childrens childrens children will emerge in the vibrational reality of Arda reborn: a planet healed and paradise won.